4 Bedroom Semi Detached House For Sale in Liverpool for Offers Over £200,000. .Located in the highly desirable residential area of Childwall, L16, is this extended semi detached family home. This four bedroom semi detached house, situated in a quiet cul de sac is brought to the market by Entwistle Green. 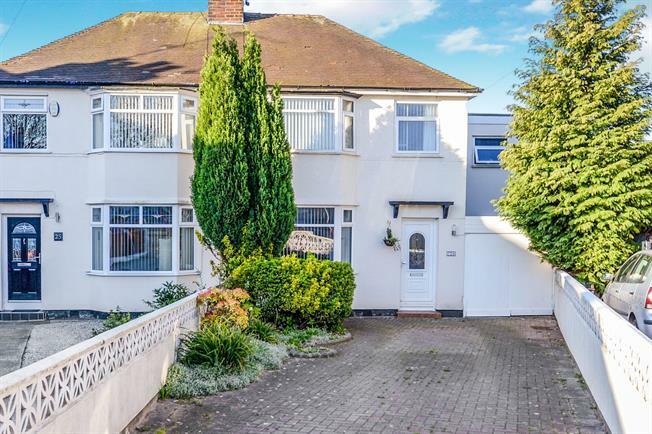 The property is situated within close proximity to many local amenities, such as shops, supermarkets, schools and excellent transport links, including motorway links and frequent public transport links. The property briefly comprises of an entrance hall, large reception room, which is currently used as a formal lounge space, snug and dining room. There is also a kitchen and a utility space, which is currently being used as a utility and a craft space. To the first floor, there are four bedrooms, family bathroom and an ensuite to the master bedroom. Externally, there is off street parking to the front of the property, a storage garage and also a large garden to the rear of the property, which runs the whole width of the property, which is decked the whole width of the property, allowing plenty of patio space, plus a lawned area. Viewings are highly recommended to appreciate the space available.